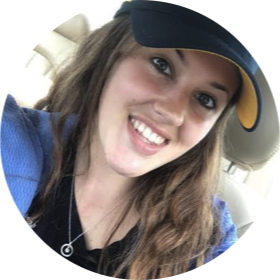 Read Kelsi's Review of The Captain. 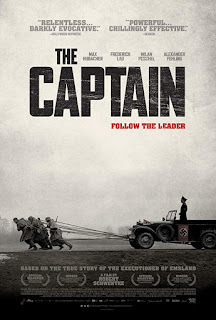 Based on a disturbing true story, The Captain follows Willi Herold (Max Hubacher), a German army deserter who stumbles across an abandoned Nazi captain’s uniform during the last, desperate weeks of the Third Reich. Newly emboldened by the allure of a suit that he stole only to stay warm, Willi discovers that many Germans will follow the leader, whosoever that happens to be. A parade of fresh atrocities follow in the self-declared captain’s wake, and serve as a profound reminder of the consequences of social conformity and untrammeled political power. The Captain is in select theaters on July 27th, 2018. Der Hauptmann, meaning “The Captain” in English, was a fantastic German movie. It was very suspenseful and extremely intense. As a nineteen year old German army deserter is trying his best to stay alive during WW2, he ends up assuming the role of the very perpetrators he had been running from. The fact that this movie is based on a true story makes it all the better. It will definitely leave you questioning the psyche of those during that time, while wondering what you yourself would do in this type of situation. Stumbling across a deserted car on the side of the road; what was inside would change Willi’s life forever. Willi Harold, played by Max Hubacher, finds a Nazi captains uniform during the final weeks of the Third Reich. After realizing just how much power this uniform truly held, Willi quickly jumped on the idea of impersonating a captain. Which was not as hard as it might seem, many German officers tended just to follow the leader or the uniform I should say. At first, you might pass Captain Harold’s actions off as needing to be done for survival. However, you will soon notice the power go straight to his head. The entire movie is in black and white and spoken in German. Therefore, you have to read the captions the whole movie unless of course you are fluent in German. Unfortunately, I am not. Max Hubacher played his role as the main character exceptionally well. With the movie focused more on the German soldiers themselves, and not on holocaust camps, it gave this movie an interesting new insight to German dictatorship. This movie is certainly not for everyone though, as it can be very gruesome during scenes and is based on a very emotional period in time.